The houses at Gordon Square were built between 1820 and 1850. The Gardens were designed and laid out by the 6th Duke of Bedford who named them after his second wife, Lady Georgina Gordon. The houses around the Square later became the focus of the Bloomsbury Group. 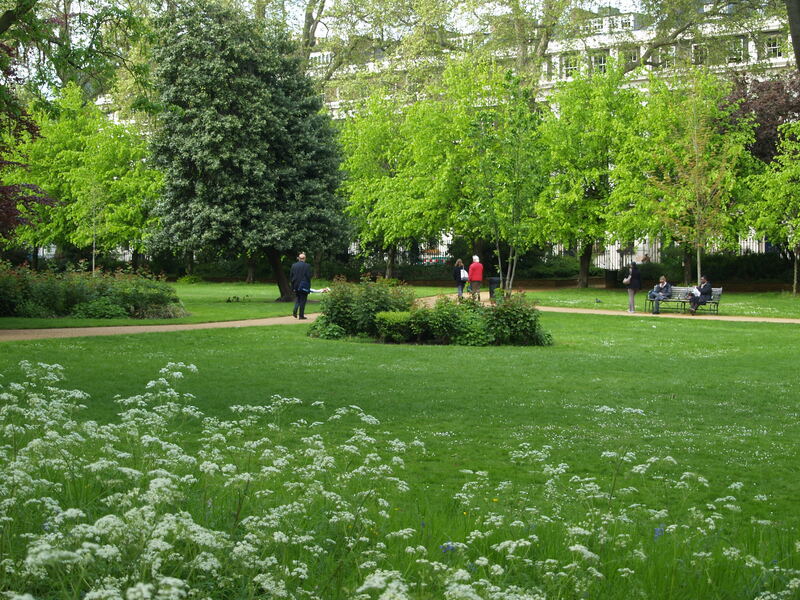 The Gardens have a wide variety of shrubs planted around the perimeter under mature plane trees. In the south west corner of the Gardens there is a well established area of woodland ground flora, including bluebells, cow parsley and dog violets. The Gardens are managed to encourage wildlife by ensuring that some areas around the perimeter are left relatively undisturbed including areas of wild flowers and shrubbery. Ivy is allowed to grow on some trees to provide wildlife habitats. The Gardens were restored by the University, who own it, in 2006 with the support of a grant from the Heritage Lottery Fund. The restoration included new railings, extensive tree work, new paths and planting. There is a kiosk, formerly a gardener’s hut, which sells drinks and light refreshments.